Home » » Validated cell lines expressing FAP tagged GPCRs. These cell lines are ready for drug screening. 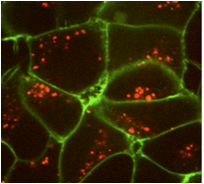 Validated cell lines expressing FAP tagged GPCRs. These cell lines are ready for drug screening.